White’s position was slightly better due to favorable pawn structure and more active pieces. 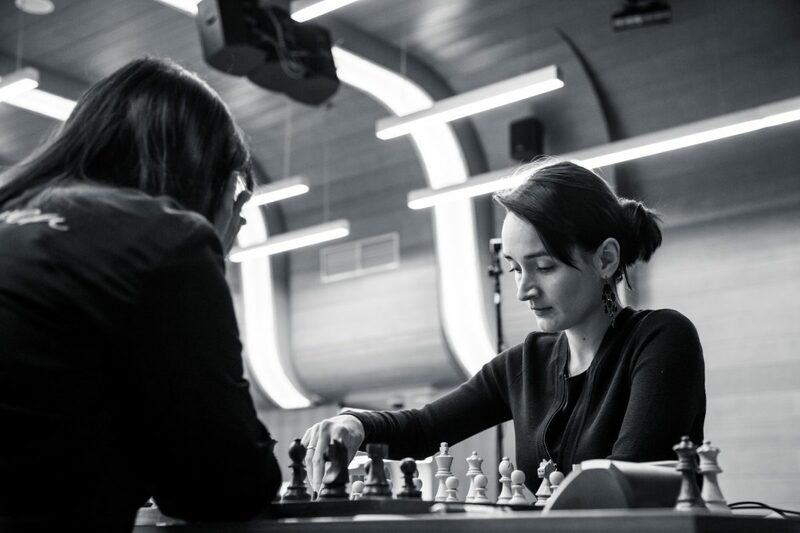 Kateryna traded a pair of rooks and made a pawn break on the kingside. 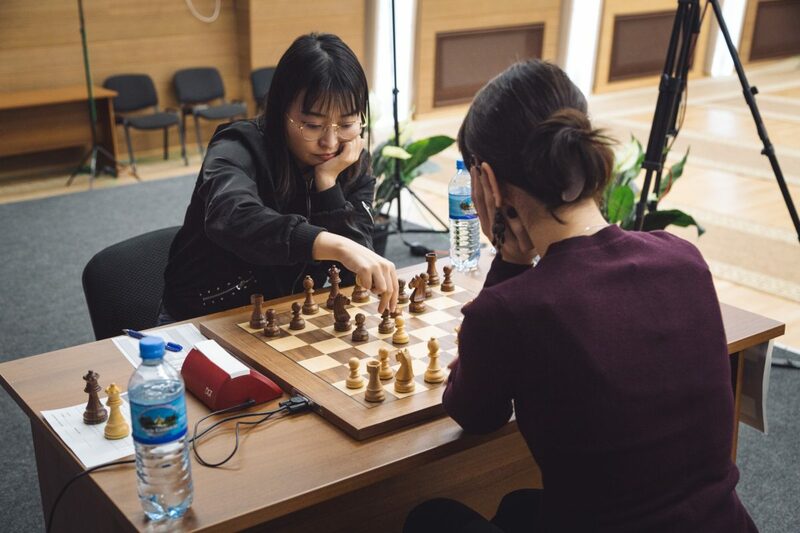 Ju Wenjun was forced to defend passively on both sides of the board. With precise maneuvers Lagno won a pawn, and then the opponent’s mistakes allowed White to claim the game. 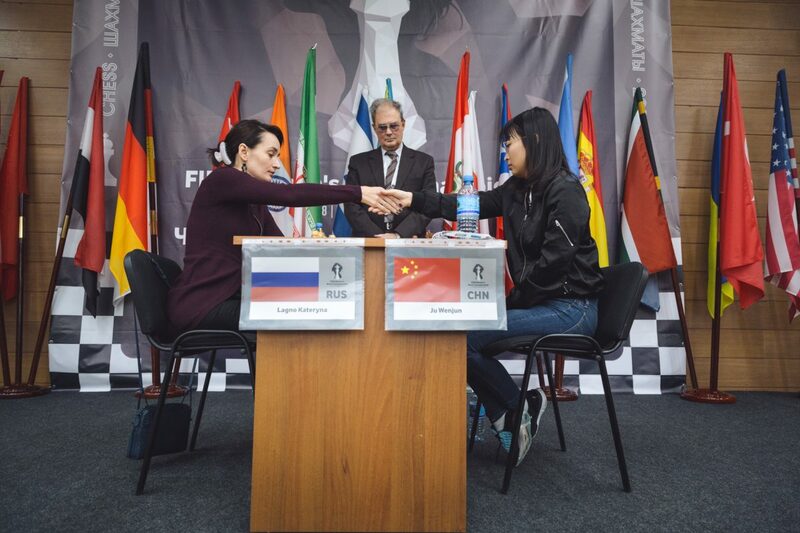 Ju Wenjun resigned on the move 59. The third game will be played on Wednesday, November 21. Ju Wenjun will have the white pieces.